Selling your car in Florida can be a stressful and complicated process. If you have a used car, junk car, or a car damaged from collision, flood, or mechanical problems, you may face challenges getting cash for cars in Florida. How can you quickly and easily sell your car? Do you need a bill of sale? How can you get cash for your junk car in Florida? We can help you sell your used car near you, whether you’re trying to sell your car in Miami, Jacksonville, Fort Lauderdale, Tampa, Orlando or any other city we service. Keep reading to find out more. We buy used cars, damaged cars, or even junk cars in Florida. We’ll give you the best price compared to your local dealership or junkyard. If you want to sell your car in Florida quick and easy, you can sell it to us online fast! We’ll buy your car in any condition, even if it’s wrecked or has major mechanical issues! If you’re trying to figure out how to sell your car in Florida, one document that is useful is a Florida bill of sale. The bill of sale is a record of the transaction between buyer and seller of the vehicle. For you, the seller, this document shows the date of sale and information about the car buyer. 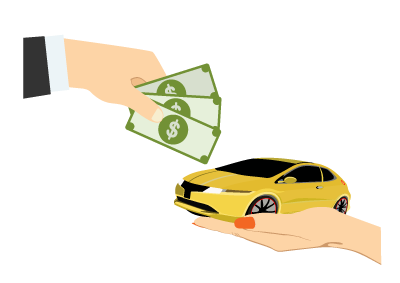 What a bill of sale does for a vehicle buyer in Florida is providing information about the vehicle that may be used to compare against the Vehicle History Report. Can I Get Cash for Cars in Florida? The ideal situation when selling your junk car in Florida is you get your car towed for free from your location, and the person buying your old car hands you a stack of cash, right? This is essentially how DamagedCars.com works. Our free towing takes only 24-48 hours, and we tow at your home or office. Once your car is picked up, we hand you a check for the amount we settled on beforehand so there is no last minute haggling. If you’re trying to sell your car in Miami, Jacksonville, Tampa, Fort Lauderdale, or many other cities we service, we can offer you a fair price. We specialize in buying cars that are damaged. If your vehicle has been in a car accident, may have a bad transmission, suffering engine failure, or any serious mechanical issues we’ll still give you an offer for the real value of your vehicle!